Let's look at the interesting project of United Fans. Today, football fans do not have an efficient platform through which they can be involved in decision-making, providing support or having ownership of their teams. The frustration among fans can lead to riots and violence. On the other hand, a lot of club boards are frustrated that their professional and financial efforts are not appreciated by fans. Most clubs have concentrated ownership (where a club is owned by an individual or a small group), which has implications for accountability by clubs’ stakeholders. While many clubs seek to run themselves in a business-like manner, few seek to maximize a ¬financial return for shareholders. Clubs engage in a wide range of community activities. The majority of clubs consider themselves to be social or community institutions and there is widespread acceptance of this. For example, extensive media coverage which accompanies any football club fi¬nancial crisis is predicated not on the ¬financial consequences, but the sporting and social consequences. Clubs face challenging circumstances due to industry changes, poor ¬financial management and decision-making. Many clubs have been forced into administration or liquidation. Governance in football clubs has been criticized in several reports, including a failure to involve fans in club governance. With the increasing adoption of the blockchain technology worldwide, we can be a part of a great shift towards a more decentralized, trustworthy ecosystem, where each transaction & interaction is validated by the Ethereum blockchain. • Peer to Peer money transfers in a secure way. The United Fans Platform accesses and stores your money securely, using two-factor authentication and other security veri¬fication methods. • Smart Contract Integration - A major feature of United Fans is direct integration with the Ethereum blockchain, which enables our fans to spend their money safely and vote easily. The smart contract is a Ethereum blockchain feature. • Fans worldwide can now interact with, and influence, their club and favorite players, through technology and even be on the other side of the world creating a borderless interactive experience, for the many millions of expatriate fans. 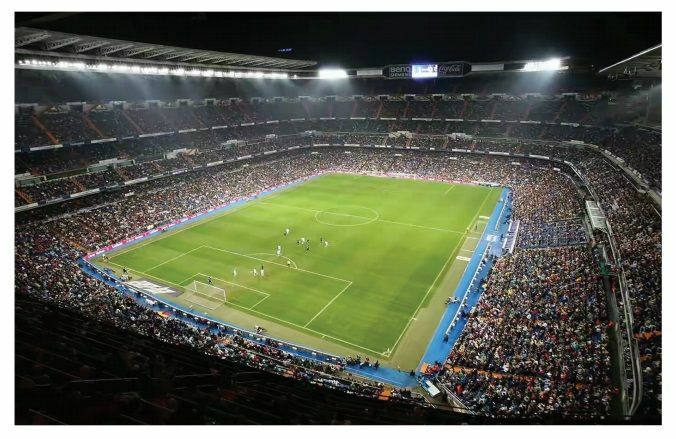 For example, Liverpool Football Club, the most successful club in the history of English football, recently travelled 12,000 miles, on an out-of-season tour, yet ¬filled an Australian stadium with a massive 96,000 fans, who flocked to see them play - a friendly game! Most of these fans had never had (and will never have) the chance to see their heroes play live in the club’s iconic Anfi¬eld stadium in Liverpool. Devoted fans like these would be very keen to be involved in the club in any way possible. • Clubs could create online decentralized auctions where fans worldwide could bid for prizes. • Clubs could use it to directly communicate and interact with fans, without needing to go through intermediaries, such as the press. • Clubs could raise sponsorship deals and use them through the application. 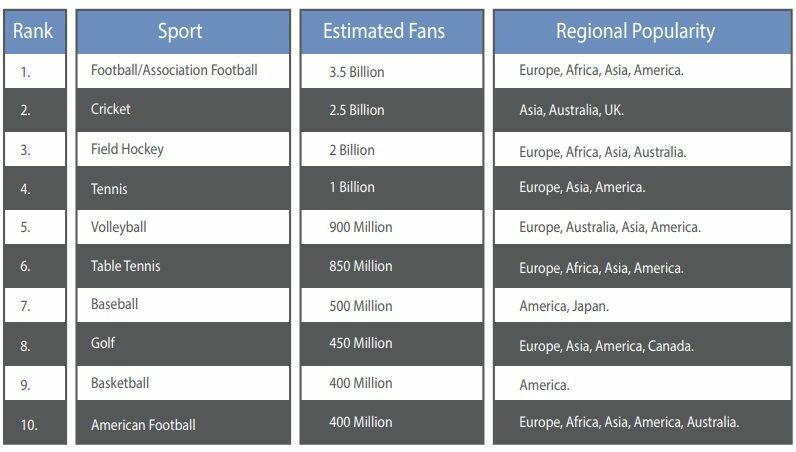 Almost 3.5 billion people are passionate about football and consider themselves fans. We all have our favorite sports, but which sports are the most popular around the world? Football is clearly the most popular sport in terms of fans. The FIFA World Cup, held every four years, has a huge TV audience - over 30 billion views were recorded for the 2006 World Cup. Cryptocurrency capitalisation is, circa $500 billion with trades and transaction volumes accounting for billions (USD) each day. Cryptocurrencies are becoming more accepted globally, although there are still barriers that hasn’t been solved. These include regulation and usability. The underpinning ‘blockchain’ technology behind Bitcoin and the alternatives (‘altcoins’) is being proposed for a range of applications in banking, defense, and other sectors. Successful cryptocurrencies bring new technologies and innovative solutions to the market, such as Zcash and Monero have enjoyed great popularity due to their strong privacy features. Even Microsoft is using the Ethereum blockchain technology as part of a ‘blockchain as a service’ model. Beyond the utility question, cryptocurrencies largely derive their value from the number of users they have and how much they are used. That is, with many users and a high “velocity of money”, currency values go up. 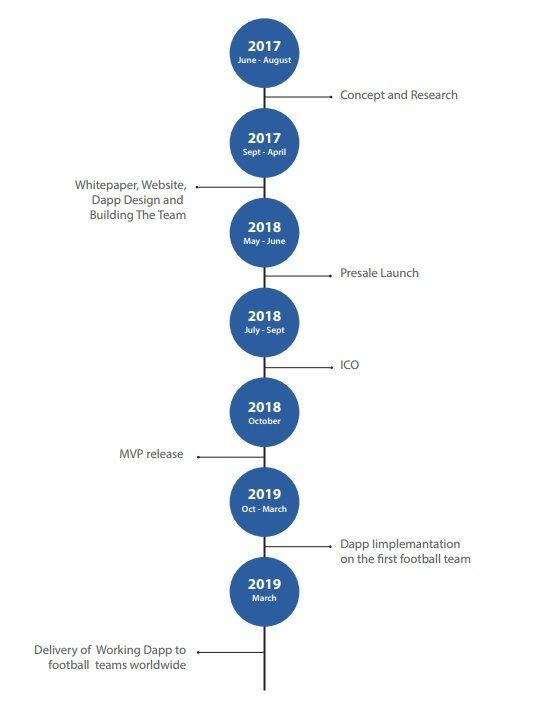 GOAL coin, in addition to being a cryptocurrency, is essentially a blockchain-based App created for soccer fans and team management worldwide, to provide the fans and the team management the option to interact through the United Fan Platform and collaborate on important decisions, vote, raise money and strengthen the community. Consequently, the value of the GOAL coin economy will increase as more fans and soccer teams adopt and use the platform. 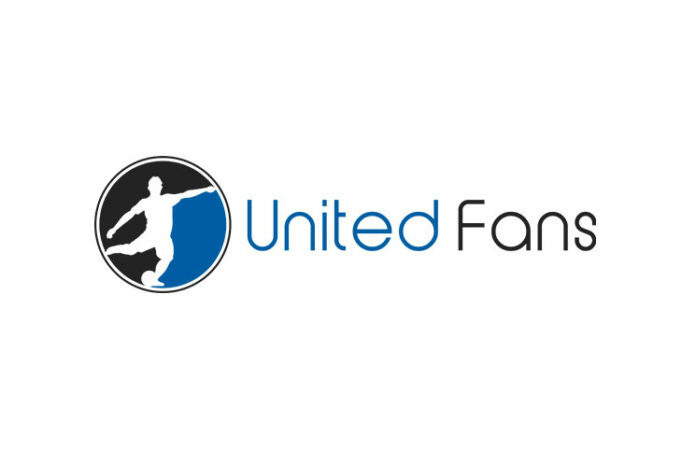 As pioneers in the blockchain Soccer management sector, United Fans will change the way fans, managements and players interact. There’s a total supply of 130 Million GOAL Coins. The only Tokens that will ever be in circulation are those that will be sold in the pre-ICO and main ICO. When United Fans launches and integrates GOAL Coins onto the platform, demand for GOAL will increase, as more people use it as a form of payment for goods and services. The earlier that you invest - the greater your discount! Football is very popular now. The project looks very promising and interesting. 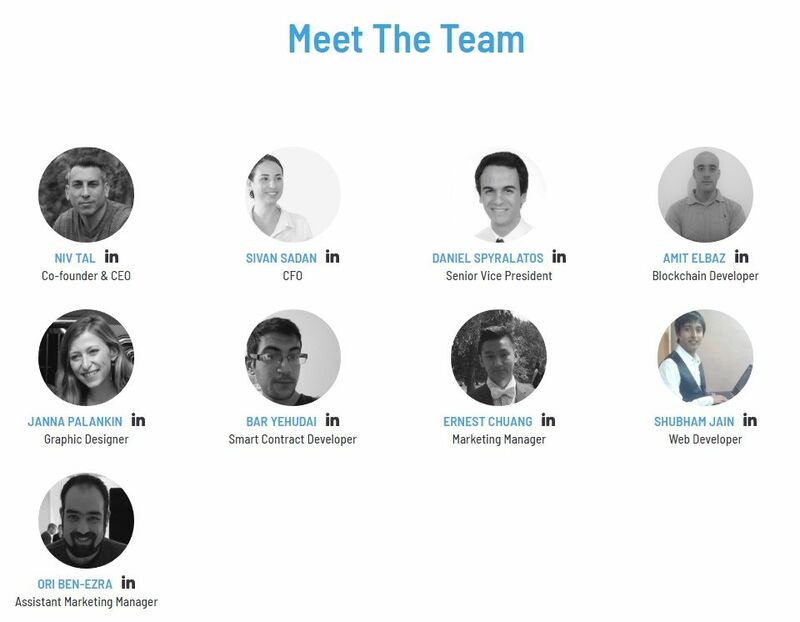 We wish success to the development team. I think they will succeed.